If such disruptive and moot evolution in Artificial Intelligence are not an effort towards enhancing mobile experiences then I don’t know what is. With the change in consumer lifestyles and an escalating preference towards mobile devices, virtually all web applications are following the mobile first approach. Consumer behavior has evolved to an extent that more time is spent on mobile phones as compared to televisions or desktops. The same is true for Ecommerce, with studies indicating a steady growth in Mcommerce sales. The consistent growth of mCommerce largely depends upon latest technology and cutthroat competition among smartphone companies. This has resulted in bringing down smartphones costs and making it available to over 2 billion smartphone users on the planet. With developers all around the world going neck-deep in Artificial Intelligence, there are tons of effective AI solutions already available on the web. We aim to bring into light Top 10 actionable ways how merchants could optimize Mcommerce experiences using Artificial Intelligence this year and some relevant solutions that can be used to implement those techniques without investing a lot of development time. Gartner’s magic quadrant report for 2017 suggests that delivering a personalized Ecommerce experience has the potential to uplift sales by at least 15%. With Mcommerce, one can easily expect this percentage to rise due to consumer preferences towards mobile devices. With Artificial Intelligence, merchants can utilize machine learning algorithms that can effectively handle big data and perform computations to deduce user preferences which are impossible for any human being to perform. Product Upselling and Cross Selling has been one of the most effective and traditional ways to engage a buyer just before or after he makes a purchase. Self-learning AI solutions can enhance this process by automatically analyzing customer behavior, preferences and footprint, providing more relevant product recommendations. Which AI solutions should you use? Our top picks for setting up product recommendations has to be Sentient Aware and Granify. With both services being API based solutions, these can be hooked up with any off the shelf or custom Ecommerce management tools used by merchants. Both these solutions analyze the store inventory through visual interpretation, web-based learning, similar customer choices and customer’s buying preferences in order to come up with personalized solutions. Not just that, these solutions also analyze buyer’s intent and offer call to actions in order to decrease store abandonment. Push notifications play an important role in connecting the dots within a buyer’s journey. 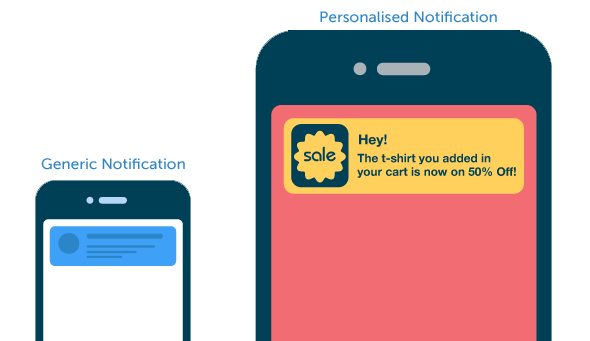 AI engines can identify customer preferences and use push notifications to target prospects with personalized alerts to re-engage prospects and existing customers. We recommend an out of the box approach of OctaneAI. While the user tracking is done on the website and relevant notifications are sent via Facebook to the customer. 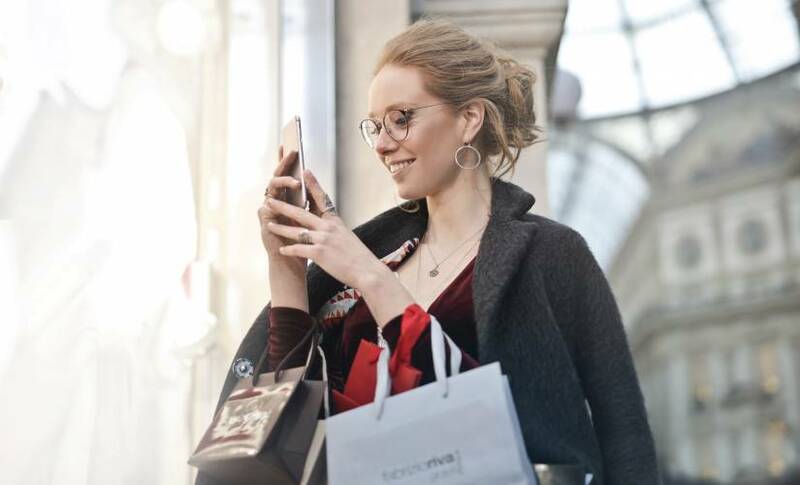 Octane AI can automatically track: User demographics, behavior, customer queries, follow up notifications to provide an engaging and personal customer experience. Another cool alternative is Vizury – that specifically provides an intelligent interface for setting up automated and personalized push notifications based on different conditions such as Price alerts, Drop off alerts, New users, Lapsed users, etc. The world looks up to Google Assistant and Siri when it comes to Virtual assistants, and rightly so because of how far they have come in having fluent and result oriented interactions with users. Such assistants on can do wonders in increasing conversion rates for an Ecommerce store due to the ease of use they facilitate. Imagine opening a web store on your cell phone on your browser or mobile app and simply asking the assistant to make an order for you. While there might not be voice assistant solution as effective as Google or Siri, they sure are not the only players out there. Continuous attempts are being made and new voice assistants are consistently being introduced for Ecommerce retailers. Voysis AI search uses natural language processing and deep learning to quickly and easily add voice AI assistant capabilities to any business. Using Voysis virtual assistant, customers can search, filter and order products with voice commands. Voysis provides it’s customers an interface to setup a Voice AI assistant which then needs to be trained with store data. Once the bot is ready, it can be deployed using Voysis API, JS libraries, and SDK on any web or mobile application. Customer support is the backbone of any business and having more than one support channels available for customers is no longer a “good to have”. But having multiple support channels don’t need to mean investing in support staff to be available on those channels all the time. Human support will be required without any doubt, but with Artificial Intelligence, it is possible to give actionable solutions to the customer automatically. This would dramatically decrease the workload of support managers and they would be required to step in only for selected cases. The best place to provide support for Ecommerce stores is on the website itself. That is where the customer has the most number of queries before and after making a purchase. Stores like Amazon and Flipkart get around 1000+ regional inquiries on live chat regarding different categories. While large enterprises like Amazon can hire regional support staff to handle such a load, it might not be budget friendly for any startup or mid-sized business. Solutions such as these allow users to quickly create their own chatbot, train it about their product and embed it in their website effectively within days. 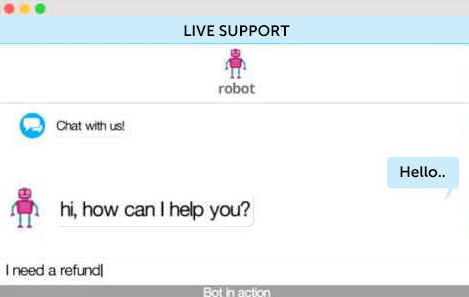 With self-learning mechanisms, these bots can learn with each conversation and can escalate the chat to a human when required. Next in line for customer support channels is Social media channels. Isn’t it where consumers spend most of their time on phones? Social media channels like Facebook, Kik, Wechat, Telegram, and others provide the ability for users to setup chatbots which can interact with users right within the platform. Chatfuel is a great tool for merchants to setup a chatbot and link it with their facebook business page. To take things even a step ahead, this Facebook linked bot can then be used on the website as well. This can keep all your chats centralized. Not to forget how easy they make the process of setting up a chatbot on Facebook. Once a Bot is ready, it needs to be submitted on the BotShop – https://bots.kik.com/ so users can gain access to it. With over 2 million downloads, it is always a great way for businesses to reach out to their audience. IVR (Interactive Voice Response), is one of the most traditional ways to provide customer support. Such systems are helping both public and private ventures throughout the globe. However, the biggest pain point is the traditional model of finding information — which is pretty outdated. By engaging a customer “who is trying to find information” into pressing a series of buttons, customers usually end up frustrated and eventually end up reaching out to an agent. After a lot of research, we were able to find only one solution that was actually dependable. Nuance’s Conversational IVR is the most complete solution available for providing AI based IVR support. This system removes all the hassles for the customer to find information and engages him directly using Natural Language Processing and Speech recognition algorithms. By providing them results directly and escalating to an agent only if absolutely necessary, this system is a great replacement for traditional IVR’s. One of the biggest reasons for shopping cart abandonment for ecommerce stores is that users aren’t able to negotiate the price of the product as they could have while visiting a brick and mortar store. On the contrary, users tend to research more on different competitor websites in an attempt to find the least price before making the purchase. This affects startup ecommerce stores the most as they have barely stepped into the market and there is hardly any room for a lot of discounts or past record to claim superior services in return for a cost higher than their competitors. Using Artificial Intelligence, it is now possible to engage prospects in negotiation and provide them with a strategic discount in order to get them onboard. Nevonprojects recently launched a chatbot based price negotiator that could do just that. The Brihaspati Infotech recently developed an AI-powered price negotiator that could monitor user’s intent and then engage the user in a fully automated negotiation. The bot passes the turing test in a satisfactory manner with the customers hardly able to identify the bot. So far, we have realized that AI solutions are focused towards customer retention, conversion rate optimization and to facilitate ease of use. Building further upon this thought, AI solutions can work wonders in simplifying the traditional ways of customer interaction with a web store. Search is one of the most important user interface elements in an Ecommerce store. This is especially true when your store has hundreds (if not thousands) of products under nested categories. 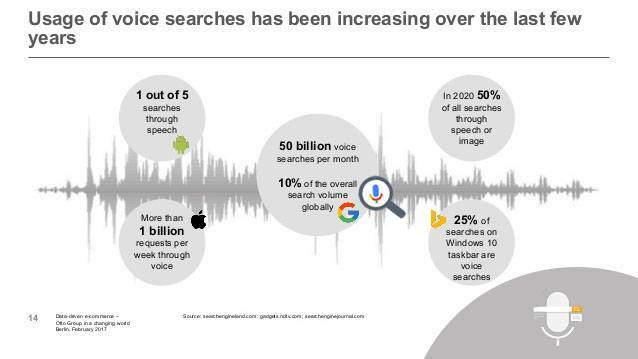 While traditional text-based search has been reinvented numerous times now and have stayed as the goto solution, it is finally time for AI-powered voice-based search to take over the baton. While Google has been the most widely used (and effective) voice search system available there are numerous other tools that can be configured into any ecommerce store and they can work equally effectively. Some of them include Alpine.ai, Reflektion, Inbenta, Klevu. These voice search services utilize the microphone of mobile devices with perfection and can work flawlessly for native accents as well. While Voice results are not always accurate, one should always consider that 95% success rate is not half bad. Next in line to optimize ease of use for mCommerce experiences is image search. Every other smartphone now a days incorporates a camera powerful enough to capture detailed imageries. With AI based machine learning algorithms able to interpret visual data, it is time to use those mobile cameras for something other than taking selfies. With AI-powered Image search, users can search for products that they see in real life with ease. This plays a huge impact on the subconscious mind of prospects and customers in order to boost customer engagement and retention. Fashwell visual search is one of our top picks for implementing Visual search in Ecommerce stores. With a professionally documented API, fashwell search could be integrated with virtually any web application that supports a camera and can match objects clicked by the camera with the ones available in the database. Last but not least on our list is using the power of Augmented reality in combination with Artificial Intelligence. Remember how Pokemon GO revolutionized the way augmented reality can be leveraged through smartphones? Our mobile phones nowadays support a host of sensors including gyroscope, accelerometer and a compass to track each and every movement of a mobile device. These can be used with a camera to setup interactive AR tools for product tryouts. One of the most impressive AI+AR implementations we have seen in a while is from Deloitte in their Digital Identibot. While this is not available as an off the shelf solution, there are certainly resources available that allow developers to perform such implementations. AR libraries like AR.JS have always been our top picks as they provide specific endpoints to implement an interactive AR application which can then be integrated with any AI logic that seems fit. 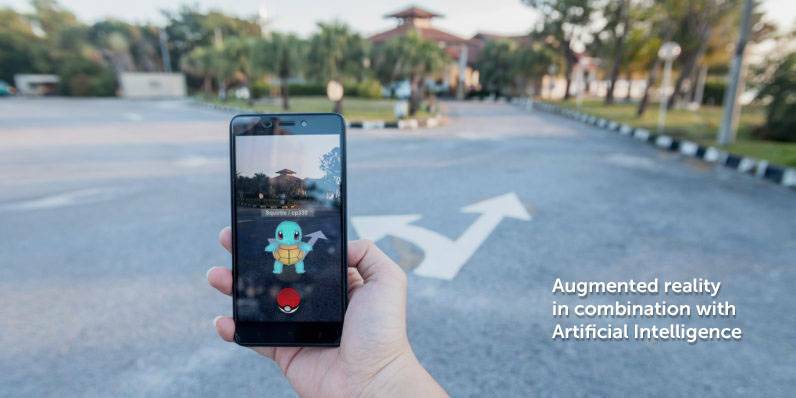 To boost AR implementations, Apple and Google are also providing their AR SDK’s by the names of ARKIT and ARCORE with which developers can leverage the desired sensors in order to build AR applications for ecommerce stores like none of your competitors. Mobile devices are certainly leading on the hardware front with ease of use being their USP’s. Combining it with advancements in AI capabilities and Big Data management, there won’t be any physical boundaries left after a certain point in time. All that would be left for store owners would be to discover new ways of delivering personalized and effective user experiences that play the most important role when it comes to optimizing conversion rates of an e-commerce store. Kapil Arora is a skilled marketer at The Brihaspati Infotech – Web Design and Development Company. Besides analyzing technical requirements of the clients, Kapil is an AI enthusiast.